Brian initially practiced in Criminal Law, including Courts-martial and general Civil cases before specialising in Family Law and Local Government. He has long had an established practice in Family Law, including cases involving children, Public and Private Law, as well as those relating to vulnerable adults. 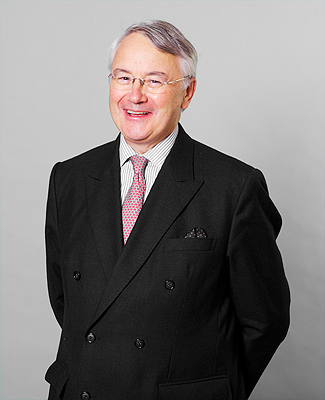 Brian has appeared in both Civil and Criminal Judicial Reviews in child and vulnerable adult cases. He is also an experienced practitioner in Public Interest Immunity, ancillary relief and cases brought under the Inheritance (Provision for Family and Dependents) Act 1975. Keen interest in scientific matters, especially in the field of genetics and aviation; dabbles in a wide variety of other interests ranging from reading to going on long contemplative walks. Brings extensive experience to bear in complex children proceedings. He has a specialism in public law cases representing vulnerable adults, and is also experienced in Hague Convention cases. Brings extensive experience to bear in complex children proceedings. He has a specialism in public law cases representing vulnerable adults. A very senior junior with a great deal of experience who focuses his practice on private and public children matters. He is also experienced at dealing with community care issues as well as judicial review proceedings. An experienced advocate who focuses on all aspects of private and public children law, as well as community care law. He is particularly strong on cases where there are allegations of sexual abuse or questions of parental authority and competence. Comes recommended for his representation of local authorities, parents and guardians in public children cases. Recent work: Handled a case looking at the legality of a local authority’s plan to remove a child from its mother immediately after birth without informing the mother of the intention to do so.